The game will be a button «Zoom», which will help you to see distant objects. In the lower left corner you will see a button that will increase. There are three distance - ordinary, average and max. 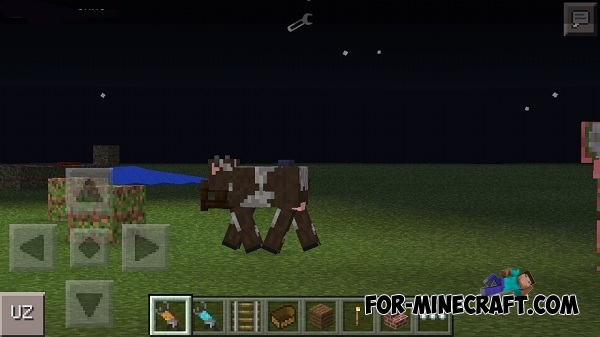 Trade mod for MCPE 0.10.4The mod will add you to the game a special new button. In order to buy or sell any villager, just go to any of these people and click on the new button.